Do you need to bring some organization to your social media workflow? Looking for tools to help? In this article, you’ll discover three tools to help you better organize social media posting, monitoring, and campaign execution tasks. One of the biggest challenges for multi-platform social media managers is keeping all of their channels meaningfully active and engaging. Finding content that works and keeping social media accounts updated are keys to building a solid social media presence. 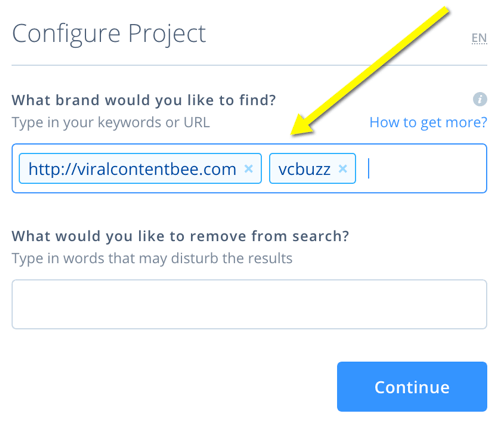 A social media tool like ContentCal can help with this. 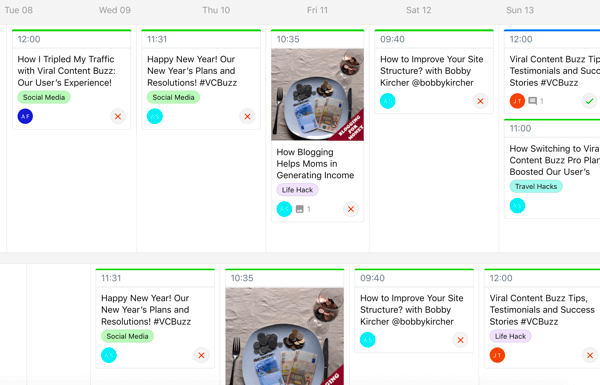 It’s a neat social media editorial solution that helps you manage all of your social media entities using an online calendar and delegating tasks. Register for a free trial and invite team members to help you manage your brand’s social media calendar. Connect your social media accounts (Facebook, Twitter, Instagram, and LinkedIn). Set up your “planning channels.” These are the types of content you’re creating and marketing—videos, email marketing campaigns, or interview-type posts, for example. Set up category color-coding. This allows you to color-code your calendar for more balance. A quick look at your calendar will allow you to see which topics you cover more often than other topics. 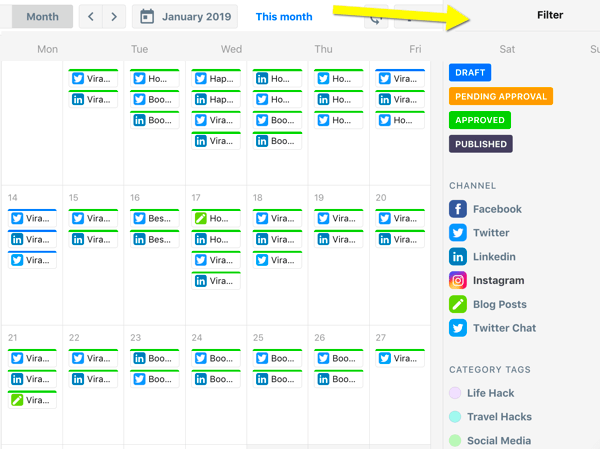 From there, you can start filling in your calendar with all kinds of updates to make sure you’re posting something each day. Team members can drag and drop their updates into the pinboard, which is your collaboration center. Moderators can post comments to the pinboard and add action items and feedback. ContentCal lets you set up a multi-step post approval process to make sure any errors are caught before the content goes live. In the monthly calendar, you get a nice high-level overview of how busy your month looks and you can filter the view by channel, category status, and more. The nice thing about ContentCal is that it’s incredibly affordable, with paid plans starting at $12 per month. A free plan is available if you schedule fewer than 50 posts per month and manage no more than four social accounts. Here’s how to use Google Spreadsheets to plan just about anything, including your social media calendar. You’ll also find details about big and small holidays to target in 2019. Use Animatron calendar to spot upcoming threads to prepare for. Social listening and engaging go a long way toward building a positive online image, winning back unhappy customers, and fostering loyalty. While social monitoring is one of the most important areas of digital marketing, admittedly it’s not easy to do. It’s hard to scale and delegate. And for bigger brands, it’s challenging to catch all of the important mentions and address them in a timely manner. SentiOne is a powerful social listening solution that makes monitoring much easier through smart alerting and advanced reporting. To set up a new project at SentiOne, you need to register for a free 14-day trial (plans start at $299 per month) and provide your project keywords. Provide all variations of your brand name (one word, two/three words, Twitter/Instagram username if different from your brand name, etc.) and include key public representatives (e.g., CEO). 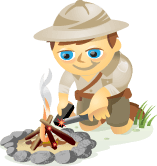 Use an asterisk (*) to get all forms of the keyword you’re looking for. The system will find them automatically. This is useful if you want to include your product name(s). To illustrate, type [iphone app*] to include both [iphone app] and [iphone apps]. Use quotation marks to monitor phrases containing more than one word in that exact order. This is useful when you’re typing in your full business name as separate words. To visualize this, type “Red Bull” for brand name (as opposed to the words red and bull separately). SentiOne will start sending email updates almost instantly. 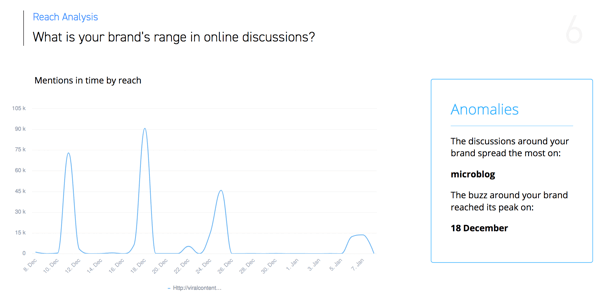 At the top of each email, you’ll see a quick summary that includes the overall social media sentiment and how many keyword mentions were found. 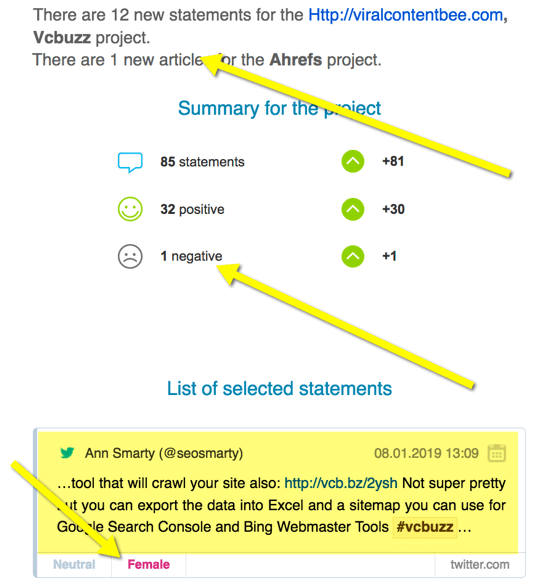 The email alerts let you quickly decide whether any specific mention needs attention, how best to respond, and in what type of context your keyword was mentioned. Additional resources: Here are more social media listening platforms to check out. Brainstorm a campaign concept name and hashtag. To better organize these tasks, use step-by-step checklists to walk you and your team members through the process. Checklists also make it easy to delegate recurring tasks to your team. Serpstat has a powerful productivity feature that lets you create and repurpose all kinds of marketing checklists, tie them to your projects/sites, and collaborate with your team members. To get access to the checklists feature, you need to sign up for Plan B or higher, starting at $69 per month. 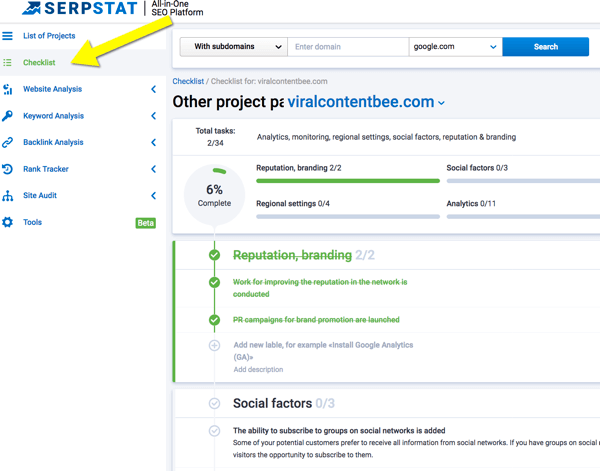 To set up your first checklist inside Serpstat, register for an account and add your site as a project. Next, click Add Checklist next to your project name. Then select from the available checklist templates (which is what I usually do) or create one from scratch. You can create a checklist, turn it into a template, and then easily put together new checklists with the same set of items. When setting up your checklists, focus on fostering productivity, mention tools and pages that need to be checked, and add detailed notes. Remember that you only need to do this once. Reach out to each expert in the spreadsheet (email, possibly follow up on Twitter in a few days). Label the spreadsheet with the status for each contact (e.g., emailed, DMed, received the response). Suggest a chat date to everyone who responded and ask what they would like to present during the chat. As soon as the date is confirmed, come up with the chat topic. Record both the date and topic in the spreadsheet. 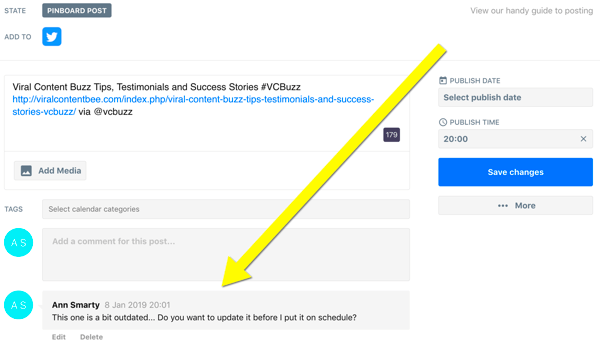 Schedule an announcement article inside WordPress. Add the chat to the Google Calendar. Include the featured guest’s email to send them an invite. Send a detailed email to the guest with tools, questions, a timeline, and the link to the scheduled post. Now, for each Twitter chat, I just need to go to my checklist templates inside Serpstat and create a new checklist with one click of a mouse. Then I simply assign it to my assistant. There are many more (albeit simpler) checklist management apps, in case you want to check them out, but Serpstat is the only one that’s focused on marketing, as far as I know. Engage and connect with your audience. Experiment and try new tactics. Create content in diverse formats (visual, video, interactive). How do you manage all of these tasks on multiple platforms with different tactics and form a cohesive social blueprint? There’s no way to create an effective social media marketing strategy without getting organized and the three tools above can help. What do you think? 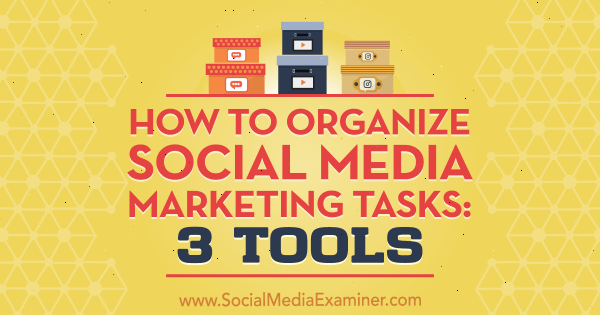 How do you get your social media marketing tasks organized? Do you use any of these tools? What tools would you add to this list? Please share your input and tips in the comments. Discover four free tools to create images for your marketing.